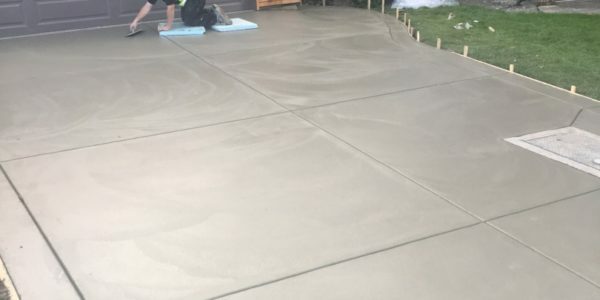 The first and most important step in the process is to determine the ingredients that will make up the concrete and their proportions. 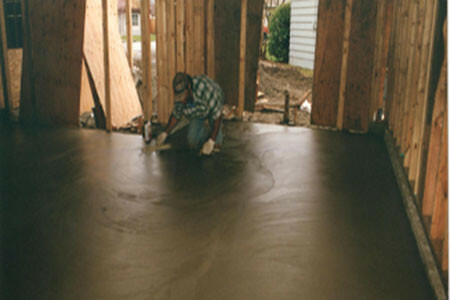 As should be apparent from the previous section, there are many variables to consider including cement type, aggregate size and type, amount of water, and mineral and chemical admixtures. 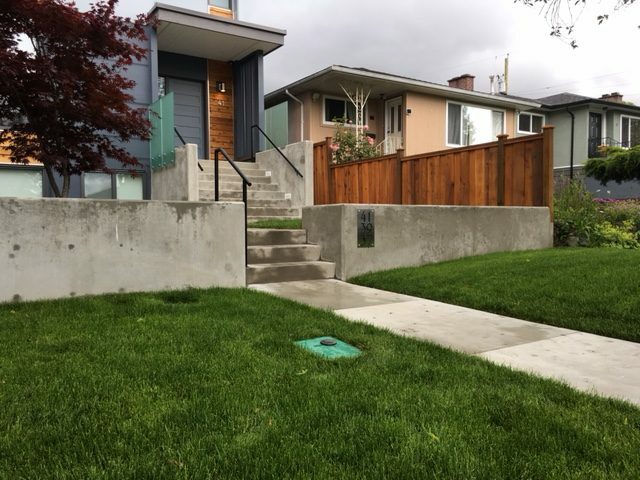 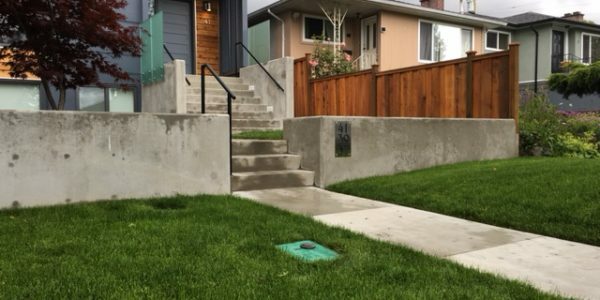 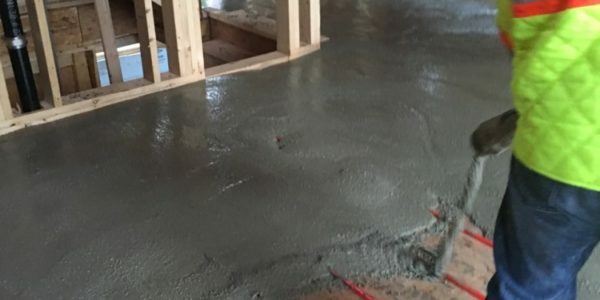 While a good mix design can still result in inadequate or poor quality concrete if it is not executed correctly, a bad mix design will of course always give poor results. 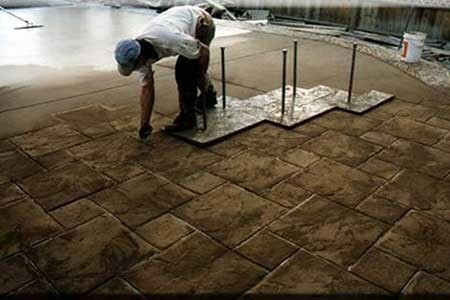 Who is responsible for designing the mix depends on the type of project. 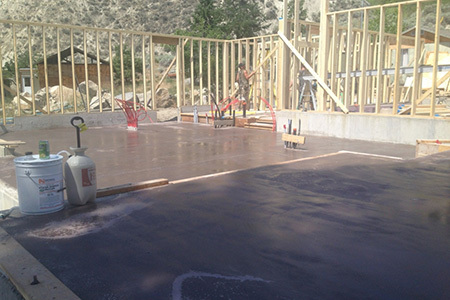 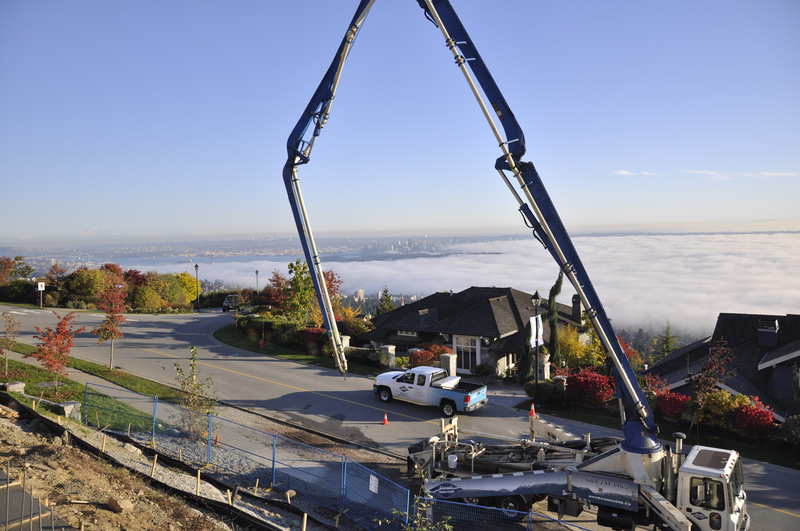 If the concrete mixing truck can be located close to the site, then the concrete can be poured directly into the forms. 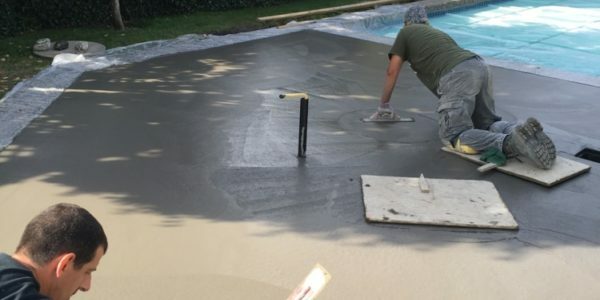 In cases where this is not possible, the concrete can be transferred in buckets by a crane or by wheelbarrow. 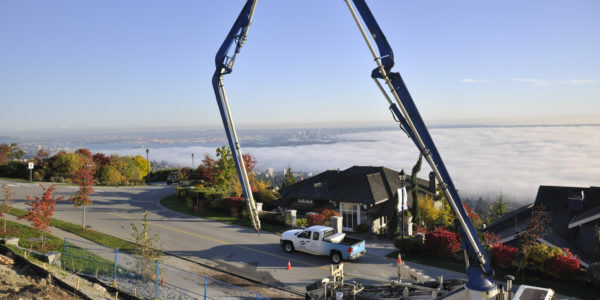 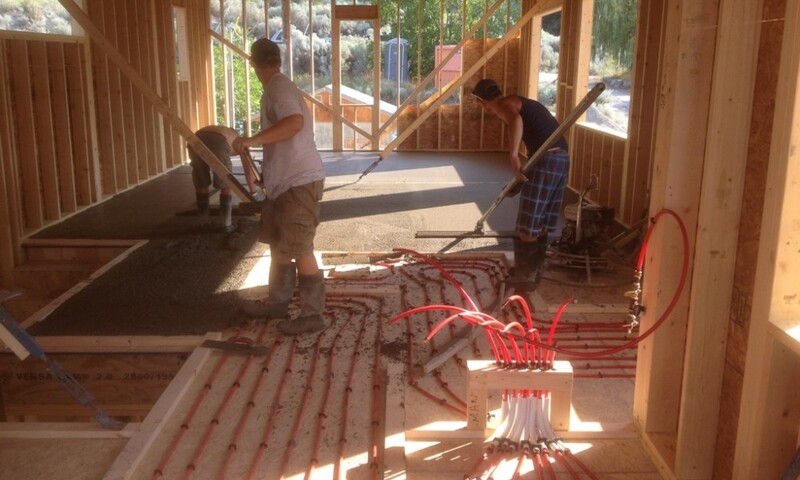 When this is impractical due to the distance required or the size of the job, the fresh concrete can be pumped through a system of pipes or hoses to the site by one of our concrete pumps. 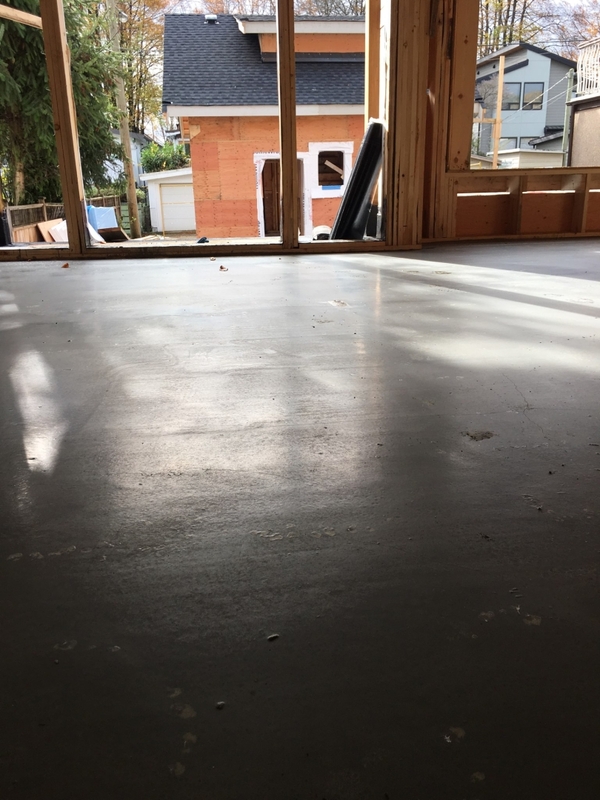 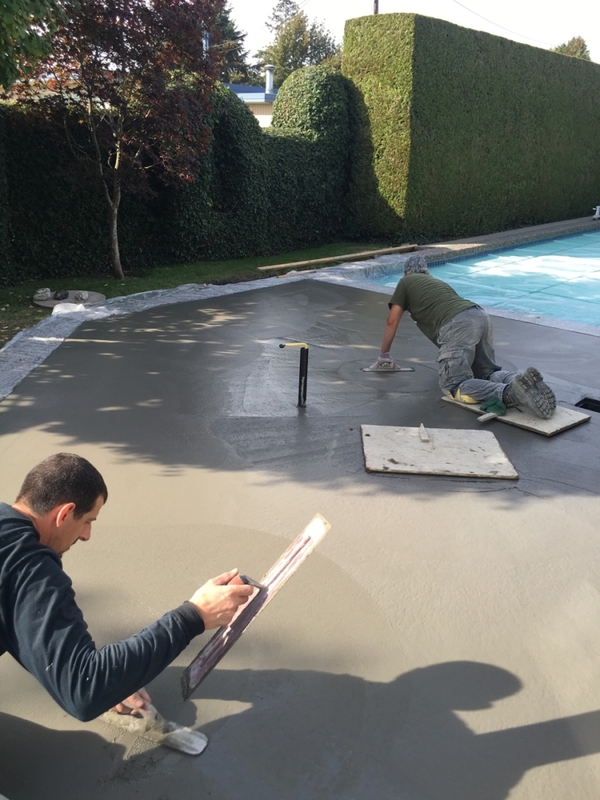 Finishing refers to any final treatment of the concrete surface after it has been consolidated to achieve the desired properties. 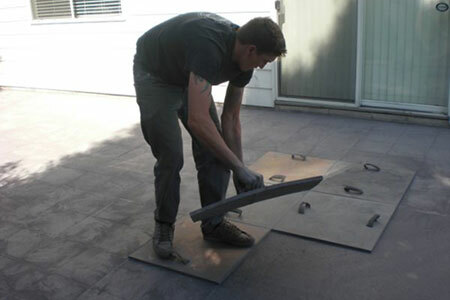 This can be as simple as pushing a wide blade over the fresh concrete surface to make it flat (screeding). 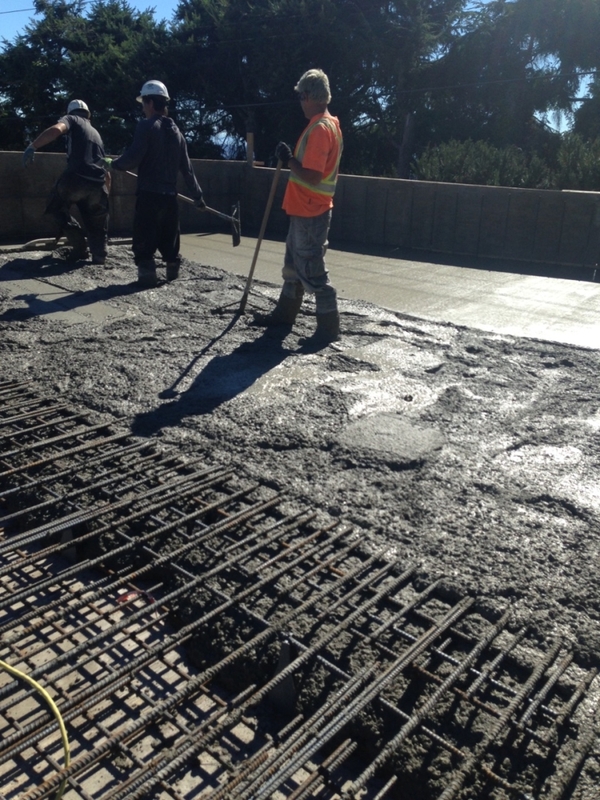 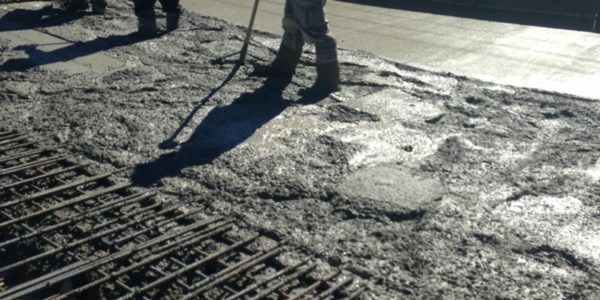 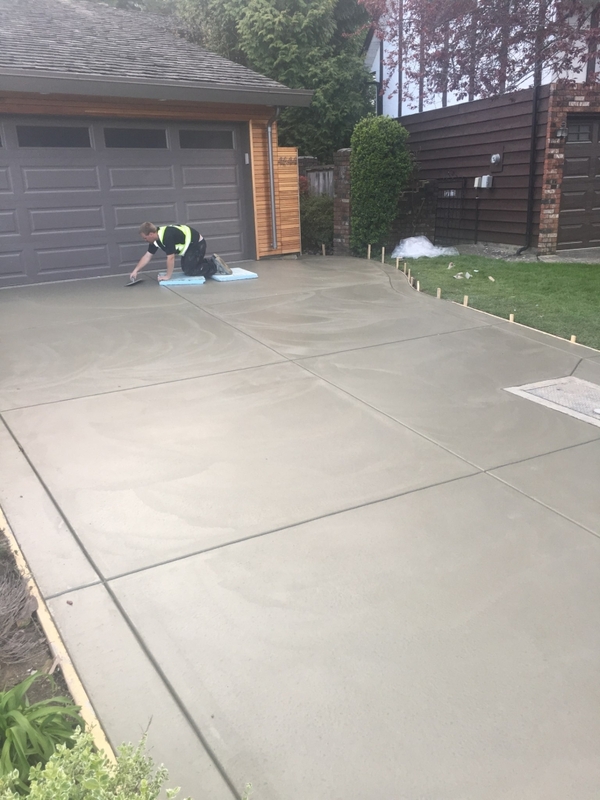 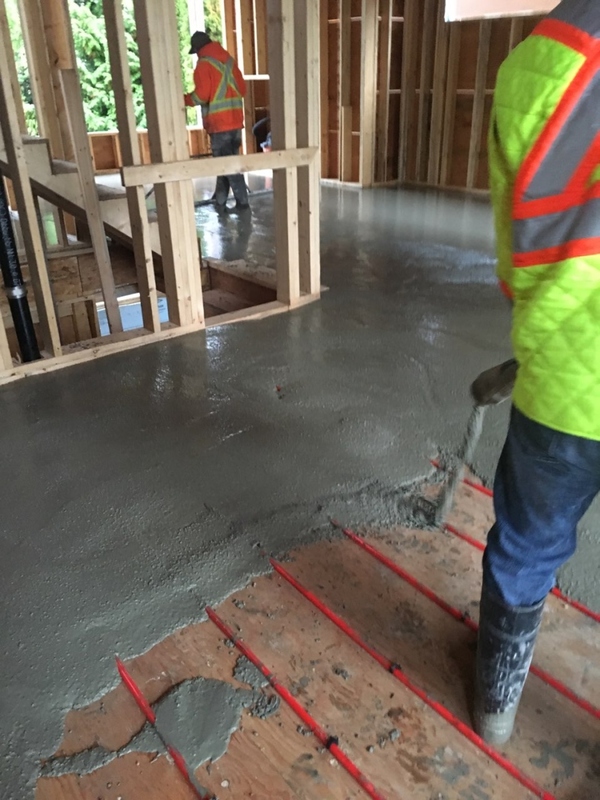 Floating and troweling is a process of compacting and smoothing the surface which is performed as the concrete is starting to harden. 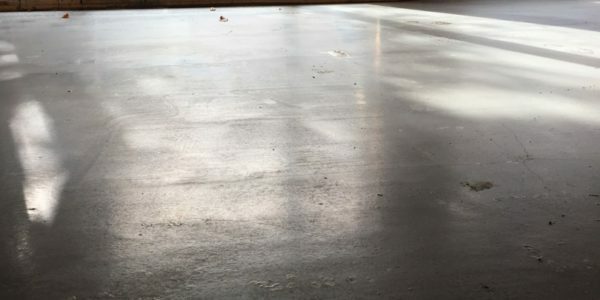 After concrete has hardened, mechanical finishing can be used to roughen the surface to make it less slippery or to polish the surface as a decorative step to bring out the beauty of a special aggregate such as marble chips. 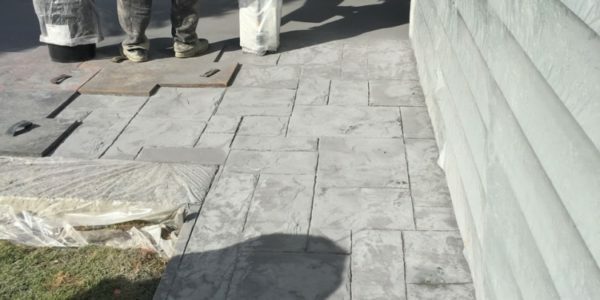 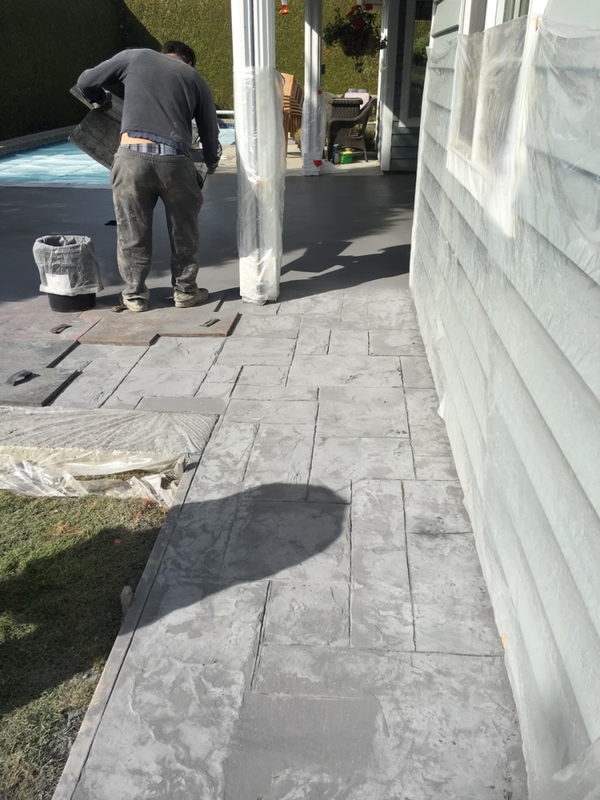 Peak Concrete LTD. employs the use of concrete dyes and surface molds to emulate the appearance of bricks, decorative pavers, or even ceramic tile.